This is the best par 3 hole at Woolton. 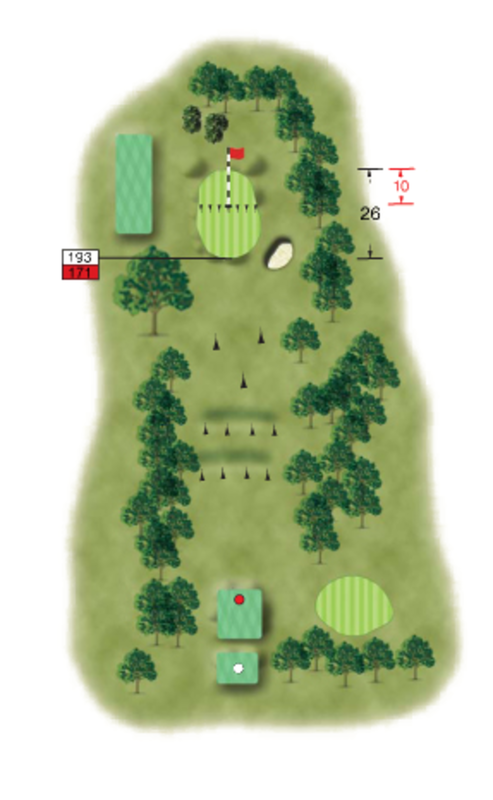 Stroke index 10 tells you that this is a difficult hole. As well as been long, the hole is lined by a mix of large, mature trees on either side putting the emphasis on accuracy from the tee. Steep run offs surround the green on all sides and a bunker lies in wait short and right. The green has two tiers and a steep slope between them. Finding the right level from the tee makes putting much easier. This par 3 takes no prisoners! Hitting the correct level on the green is important as there is a steep Mckenzie through the centre.